If "grinding tech trance" was a genre this would be it. 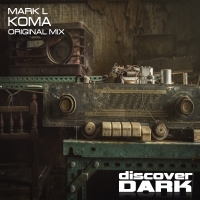 Koma by Mark L grinds and grooves into action from the start and what follows is a journey through subtle melodies, acidic runs, cool stabs and production genius. 'Koma' is available now from Beatport and iTunes.